U.S. 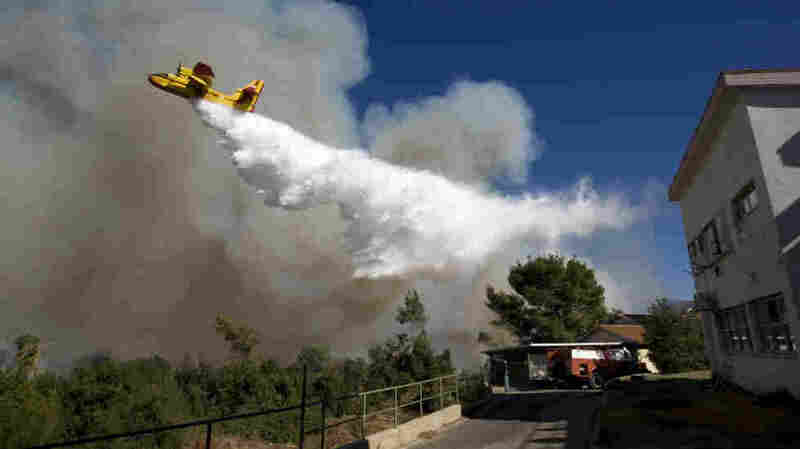 Sends Team To Israel To Fight Fire : The Two-Way The United States is sending a three-person Forest Service team experienced in aerial firefighting to Israel to help that country with a wildfire that has kill 41 people and is described as the worst in its history. The United States is sending a three-person Forest Service team experienced in aerial firefighting to Israel to help that country with a wildfire that has killed at least 41 people and is described as the worst in its history. The site ynetnews.com reports that officials in Israel plan a "major operation for Saturday using some 30 firefighting aircraft" to combat the fires that are raging in the country's north. The U.S. is sending 45 metric tons of fire retardant and 12,000 liters of foam to help combat the blaze both on the ground and in the sky. An American official said that the U.S. is also attempting to provide aircraft to Israel for the fight. In addition to material support, President Obama offered condolences for the loss of life to IsraeliPrime Minister Benjamin Netanyahu during a phone call to discuss the deadly fires. As darkness fell, the operations of foreign firefighting aircraft from Europe were called off until the morning. During the night, only firefighters on the ground will be battling to stop the spread of the blaze, but there is not much of an expectation that they will be able to control it. Firefighting authorities are putting their hopes on a Russian aircraft that landed in Israel on Friday evening and will go into action on Saturday. The plane is capable of holding up to 42,000 liters of water.